The town of Hanover in York County, Pennsylvania was laid out in 1763 around a hub of five radiating streets which led to towns and cities in southern Pennsylvania and in Maryland (Abbottstown, Baltimore, Carlisle, Frederick and York). The Monocacy Road also passed through Hanover close to this central core. This ancient route, originally an Indian trail, was heavily used by settlers traveling from Philadelphia across York Country and into western Maryland and Virginia. Because of this lucrative location at the intersection of six major public highways, Hanover became a prominent center of commerce providing goods and services to scores of travelers. In 1852 Hanover’s first railroad was constructed furnishing an indirect route to York City (the county seat) and Harrisburg as well as Gettysburg and Littlestown in adjoining Adams County. A more direct line to York was built in 1873 and four years later a line connecting Hanover to Baltimore was constructed. The railroads brought further economic wellbeing to the town and its prominence as a trade center increased. Industries anxious to take advantage of this profitable access to outlying markets began to locate along the railroad tracks in northern Hanover. Because of this economic boom prompted by railroad activity, Hanover entered into its most prolific period of building construction during the late-nineteenth and early-twentieth centuries. The most commonly used architectural styles and forms include Colonial Revival, Pennsylvania German vernacular, Queen Anne and American Four-Square. The boundaries of the Hanover Historic District were selected in order to encompass the oldest portion of the town containing the highest number of contributing architectural resources. Very few buildings from Hanover’s earliest years exist today; the oldest is the c. 1783 Neas House. The period of significance for the Historic District therefore begins with this date and continues to 1946 (or fifty years ago as indicated by National Register eligibility requirements). To read about Hanover’s early history in more detail, click here. Hanover is one of seven communities designated as a Pennsylvania Civil War Trails community. Relive the encounter known as the Battle of Hanover through a two-mile self-guided walking tour laid out by wayside markers. Brochures are available at the Hanover Area Chamber of Commerce, Guthrie Memorial Library and area lodging establishments. Local citizens founded the Historical Society in 1965 to preserve and promote the history of the Hanover area. The Society currently runs the Neas House at 103 W. Chestnut St., the Warehime-Myers Mansion at 305 Baltimore St. and the Yelland Research Library at 21 Baltimore St. Tours of the Neas House and Warehime-Myers Mansion are available. The Research Library is open to the public by appointment only. To learn more, click here. Did you know that Hanover is home to one of the largest pipe organs in the world? The pipe organ at St. Matthew currently ranks ninth on the list of the world’s largest organs. Dedicated in 1925, the original organ, built by Austin Organs Inc., had nearly 5,000 pipes. Over the years, the pipe organ has been enlarged. Today’s organ features 14,581 pipes and 245 ranks with an additional 22 digital stops. The organ recently underwent a five-year restoration, which was completed in October 2016. The Church offers frequent tours of the organ and pipe chambers. To learn more, click here. The original Conewago Chapel was built by Jesuits in 1741 as a log dwelling and chapel. Even after the original chapel was demolished, the name remained. The present-day chapel is constructed out of locally quarried brownstone. Dedicated in 1787, the Conewago Chapel is listed on the National Register of Historic Places. 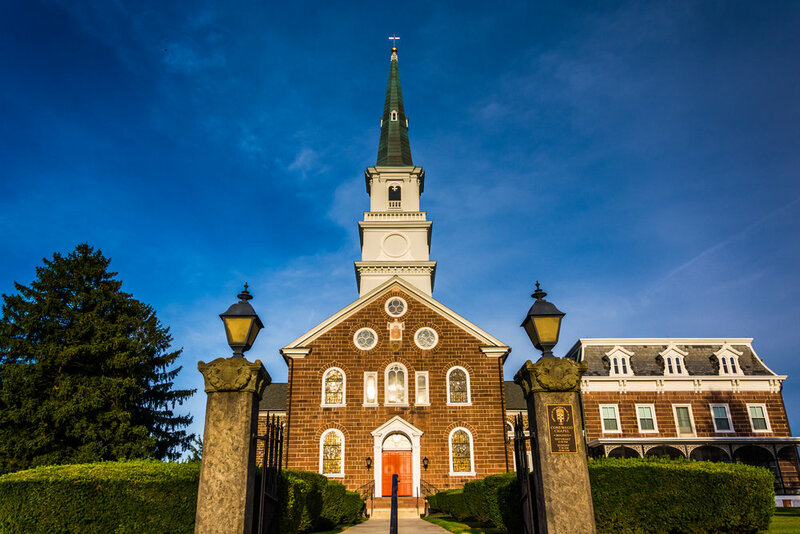 Only a few Catholic churches in the United States predate the Conewago Chapel, which is officially known as the Basilica of the Sacred Heart of Jesus. The chapel remains an active parish and is one of the oldest continually operating in the country. It is generally open to visitors during the week, but it is recommended that visitors call ahead at 717-637-2721. To learn more, click here. 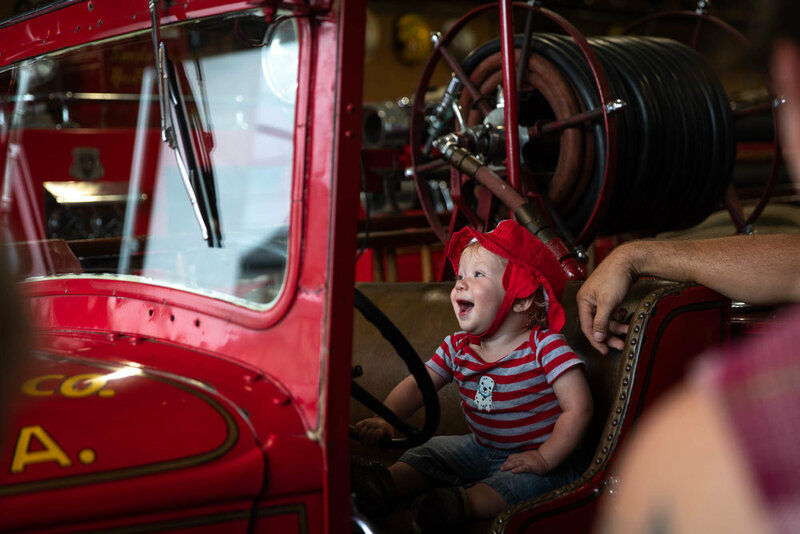 Established in 1980, the Hanover Fire Museum houses 200 years of Hanover’s fire service history and honors those who dedicated their lives to protecting the community. Visitors can pull an actual fire alarm box and see and hear an original Gamewell Fire Alarm System from 1911 that served the Hanover Borough community. See photos and read names of the old fire horses that served the Hanover Fire Department! Exhibits showcase fire vehicles of all types, including an 1882 Silsby Steamer, hand-pulled pumps and a coffee grinder type fire pump. Staff is made up of past volunteer or career firefighters who are very knowledgeable of the items on display. To learn more, click here.